You have done physical things to burn the fat. It is time now to shed some unwanted fat by adding certain fat burning foods to your diet. Whole Grain: The whole grain cereals, bread and other items made with this. The whole grain increases metabolism keeping the insulin levels low which result in keeping the fat away. Oatmeal: Oats are good source for soluble fiber. They help shed the dangerous belly fat by keeping the insulin levels low which encourage fat storage. Green Tea: EGCG a chemical that is available in green tea helps burning more calories. The studies conducted on green tea have confirmed that green tea is one of the best fat buster. Chicken: Chicken without skin can be considered for reducing fat. Some researches have found that chicken is a protein that boosts metabolism. 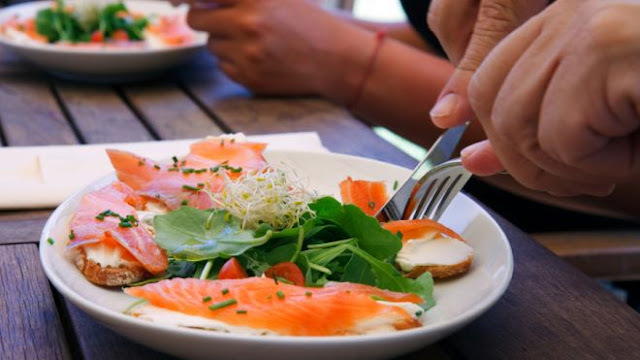 Fish: Fish like salmon burns fat according to British Journal of Nutrition. Omega 3 fatty acids in the fish help cleaning bad cholesterol. The mechanism in the fish leads to high caloric burn.